A chestnut filly (Feuretanzer x Classical Jazz) who will go gray. She displays darker shading on her face and legs that are an early indication. 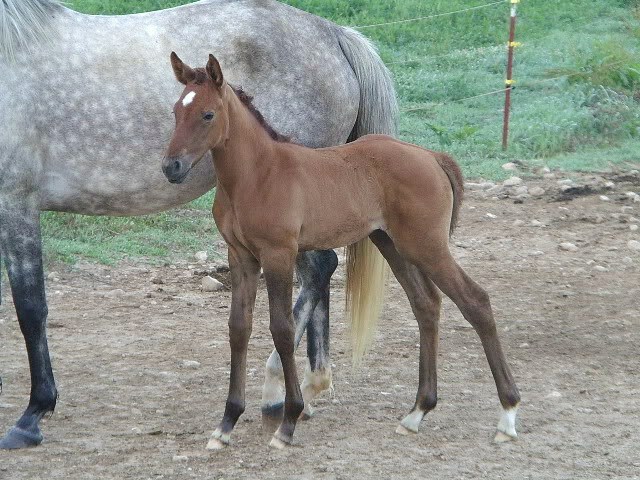 Bred by Ancient Oaks Sport Horses.